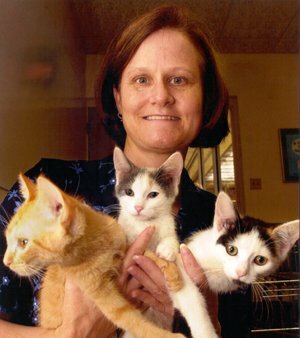 The on-demand version of Maddie’s Institutes’s live webcast on “Shelter Crowd Control: Keeping Community Cats Out of Shelters” with Dr. Julie Levy is now available on the Maddie’s Fund® website. RACE CE credit is available to those who view the entire presentation on demand and complete a quiz afterward. “We had almost 800 people in attendance, which is amazing, particularly for a presentation on cats in shelters. Dr. Levy was incredible in her thoroughness and her engagement with the material she was presenting, and our audience responded by submitting hundreds of questions. Dr. Levy answered as many as she could after the webcast, and is reviewing those she didn’t get to — we’ll be posting her responses on our site in the future. All of us who care about the issue of community cats should be encouraged not just by the numbers of people who attended, but also by the responses to our poll, and the shift in thinking they reveal. We’re really on the brink of a revolution in how we think and talk about the issue of community cats. Only 12.9 percent report that TNR is not happening in their communities, with 51.6 percent saying that some cats are being reached by TNR programs, and 30.5 percent say TNR is a major component of lifesaving in their community. Shelter Crowd Control: Keeping Community Cats Out of Shelters is part of an ongoing series of educational programs from Maddie’s Institute, a program of Maddie’s Fund®, the nation’s leading funder of shelter medicine education. Maddie’s Institute brings cutting edge shelter medicine information from universities and animal welfare leaders to shelter veterinarians, managers and staff as well as private practice veterinarians, rescue groups and community members to increase the lifesaving of homeless dogs and cats community-wide. 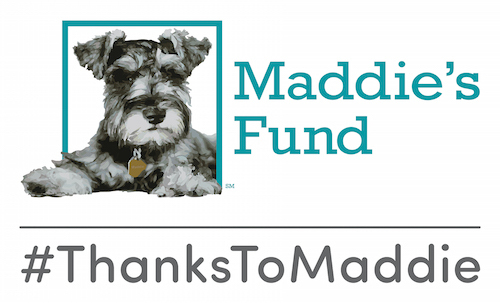 If you have questions, please contact us at institute@maddiesfund.org. This program was reviewed and approved by the AAVSB RACE program for 1 hour of continuing education in jurisdictions which recognize AAVSB RACE approval. Please contact the AAVSB RACE program if you have any comments/concerns regarding this program’s validity or relevancy to the veterinary profession.